Established in early 2017, Living Compassion is a wholly-owned charity of the International Buddhism Temple. 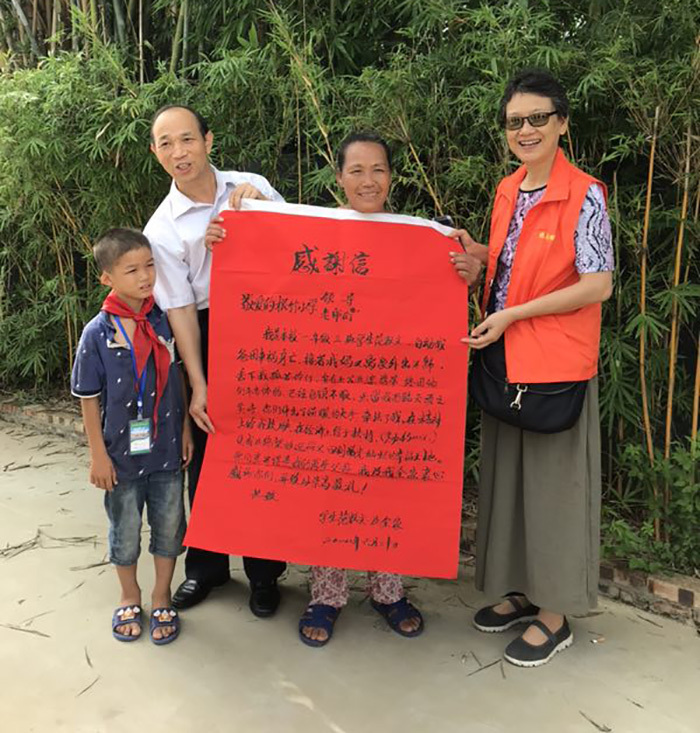 Working in line with the aims of poverty reduction, student aid and emergency relief, Living Compassion assists persons in need in the Chinese mainland, including orphans, children without parental care, elderly widows and widowers and the disabled. We seek volunteers with work experience and expertise, who have a sense of gratitude and a sense of mission to do good, and those who have already done so. Local volunteers identify cases in need of assistance and learn on-site the real situation of assistance recipients. The captain of a local team leads volunteers in regular visits to schools and homes of the assisted students, follows up on their changing situations and makes periodic reports. To facilitate the identifying, monitoring and tracking of the assisted students and their families, captains seek to work closely with village school principals who have a sense of justice and responsibility. In addition to helping families of poor students, our assistance is to include donating extracurricular reading materials, bookcases and drinking water facilities to schools in remote mountainous areas. The first phase of assistance focuses on students from poor families with single or no parents. The second phase continues the focus of the first phase, while at the same also provides timely assistance to families involved in serious emergency situations and financial crises. Work starts with western China’s mountainous areas in Guangxi, Guizhou, Yunnan and Sichuan, and once established there, will gradually extend to other parts of the country. To sustain this meaningful charity project, we continue to need support in terms of sponsored funds and volunteers who work locally with assisted families on a long-term basis. Those who are interested and care are invited to join our team so Living Compassion lives on. Everyone is welcome to be part of Living Compassion, and donations in any amount will be gratefully accepted. To donate, go to our temple website buddhisttemple.ca and click on “Support Us”. For more information, please call 604-274-2822.